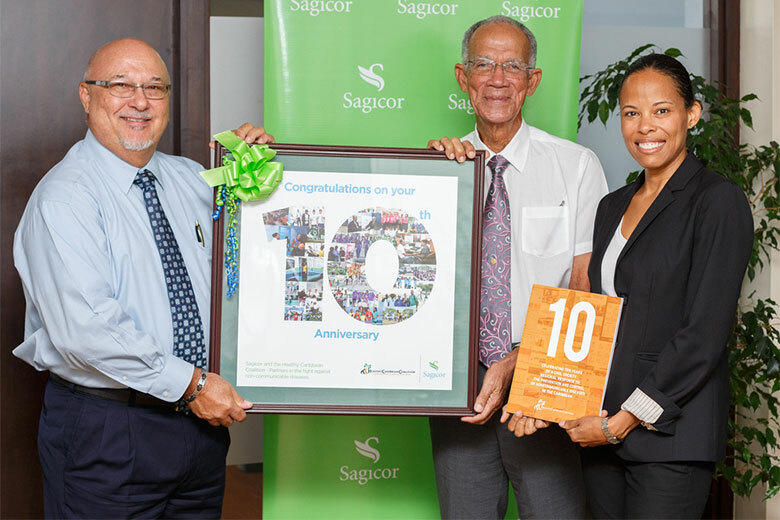 HCC Executive Director Maisha Hutton and President, Sir Trevor Hassell present Sagicor Life CEO, Ed Clarke with HCC’s 10th Anniversary Report while accepting an anniversary gift from Sagicor Life Inc.
At the end of October 2018, in recognising the HCC’s 10th Anniversary, Sagicor Life Inc. CEO Ed Clarke presented HCC Executive Director Maisha Hutton and President, Sir Trevor Hassell with a fantastic 10th Anniversary gift. 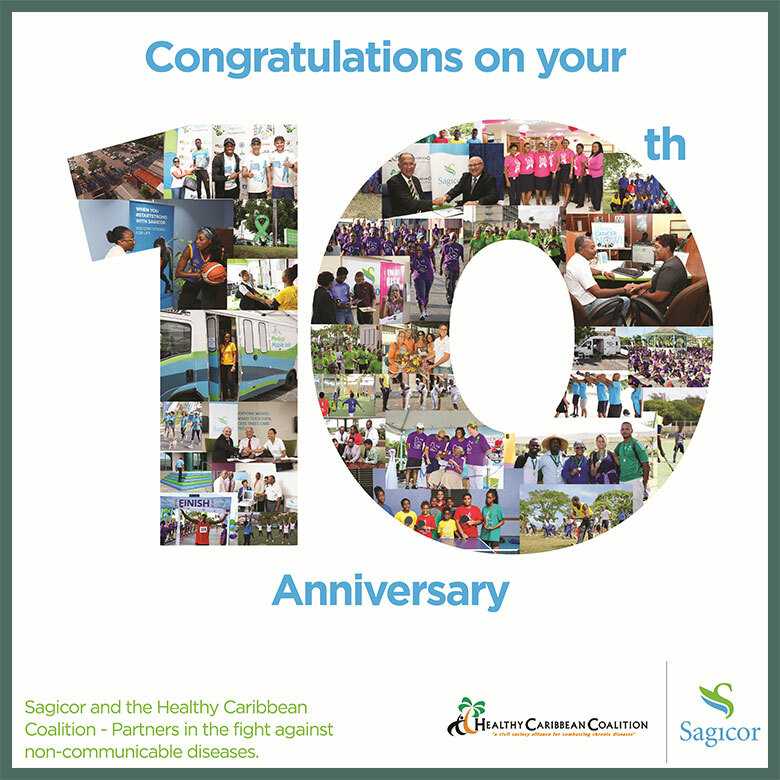 Sagicor Life Inc. has supported the vision and work of the HCC from it’s inception. In 2012 the relationship was formalised and cemented through a three year MOU which has been renewed again in 2015 and 2018. Under the leadership of Ed Clarke, Sagicor Life has integrated wellness into it’s core activities both among its employees and within the communities it serves across the region. This commitment is driven by an internal recognition of the core role and responsibility of the private sector in addressing NCDs through a truly whole of society response. 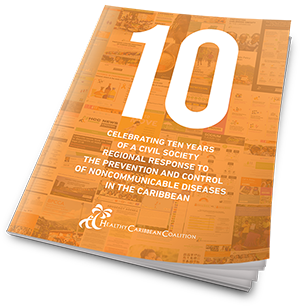 The 10 Year Anniversary Report was released on September 27th, 2018, the day of the 3rd United Nations High-Level Meeting on NCDs and in celebration of 10 years of the Healthy Caribbean Coalition. You can also see HCC’s history time line here.